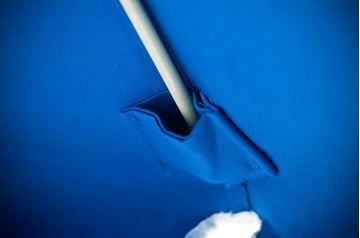 Frankford umbrellas are our newest manufacturer of commercial grade umbrellas. Frankford offers market umbrellas and cantilevers in a variety of shapes, sizes, and colors. Frankford only uses quality marine grade fabric and heavy-duty frames such as silver mist coated aluminum and wood. 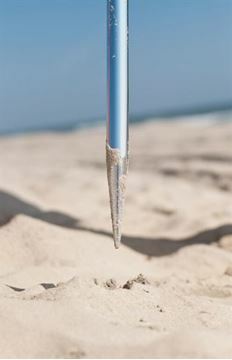 Frankford umbrellas combine style and durability, the kind of quality you would expect for your hotel or resort. 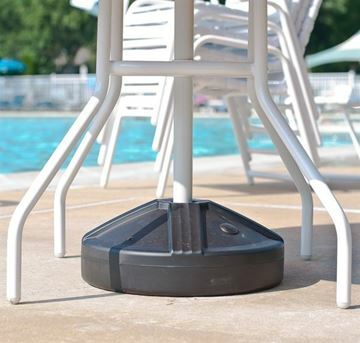 10 ft. Square Premium Center Post Umbrella with Marine Grade Fabric, 34 lbs. 11 Foot Octagonal Fiberglass Market Umbrella with Marine Grade Fabric with Auto Tilt and Crank Lift, 24 lbs. 11 Foot Octagonal Fiberglass Market Umbrella with Marine Grade Fabric with Crank Lift, 24 lbs. 11 Foot Octagonal Fiberglass Market Umbrella with Marine Grade Fabric, 24 lbs. 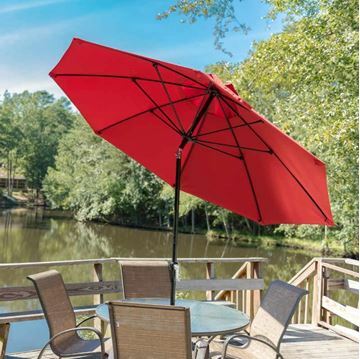 13 ft. Octagonal Premium Center Post Umbrella with Marine Grade Fabric, 40 lbs. 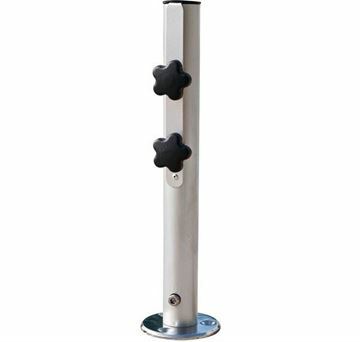 13 ft. Square Nova Giant Center Post Umbrella, 210 lbs. 16 ft. Octagonal Nova Giant Cantilever, 220 lbs. 6.5 Foot Square Fiberglass Market Umbrella with Auto Tilt Crank, Marine Grade Fabric, 18 lbs. 6.5 Foot Square Fiberglass Market Umbrella with Crank, Marine Grade Fabric, 18 lbs. 6.5 Foot Square Fiberglass Market Umbrella with Marine Grade Fabric, 18 lbs. 7.5 Foot Octagonal Fiberglass Market Umbrella with Auto Tilt and Crank, Marine Grade Fabric, 19 lbs. 7.5 Foot Octagonal Fiberglass Market Umbrella with Crank, Marine Grade Fabric, 19 lbs. 7.5 Foot Octagonal Fiberglass Market Umbrella with Marine Grade Fabric, 19 lbs. 7.5 Foot Square Fiberglass Market Umbrella with Marine Grade Fabric and Auto Tilt with Crank Lift System, 21 lbs. 7.5 Foot Square Fiberglass Market Umbrella with Marine Grade Fabric and Crank Lift System, 21 lbs. 7.5 Foot Square Fiberglass Market Umbrella with Marine Grade Fabric, 21 lbs. 9 Foot Octagonal Fiberglass Market Umbrella with Auto Tilt and Crank, Marine Grade Fabric, 22 lbs. 9 Foot Octagonal Fiberglass Market Umbrella with Crank, Marine Grade Fabric, 22 lbs. 9 Foot Octagonal Fiberglass Market Umbrella with Marine Grade Fabric, 22 lbs. 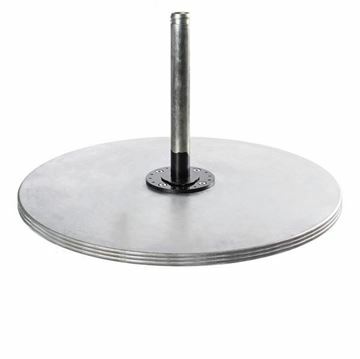 Aurora 11 ft. Octagonal Aluminum Cantilever with Marine Grade Fabric, 64 lbs. Aurora 9 ft. Square Aluminum Cantilever with Marine Grade Fabric, 63 lbs. Oak Wood Beach Chair with Footrest 9 oz. Marine Grade Fabric, 25 lbs. Oak Wood Beach Chair, 9 oz. Marine Grade Fabric, 25 lbs. 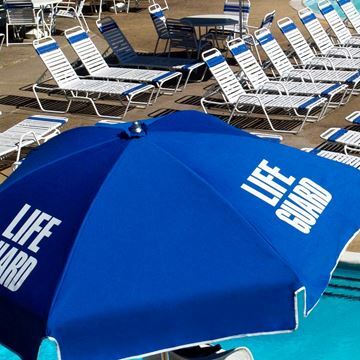 Quick Ship 11 Foot Octagonal Fiberglass Market Umbrella with Pacific Blue Marine Grade Fabric, 24 lbs. Quick Ship 7.5 Foot Octagonal Fiberglass Market Umbrella with Pacific Blue Marine Grade Fabric, 19 lbs. 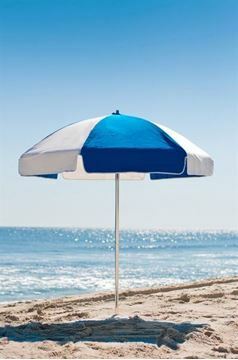 Quick Ship Pool Furniture, 9 Foot Octagonal Fiberglass Market Umbrella with Pacific Blue Marine Grade Fabric, 22 lbs.